I strongly recommend this film to all teachers and parents, and especially as one that deserves time in a faculty meeting study. It provides invaluable reminders of how to teach with respect and compassion; how to uphold the maxim that for every step forward with pedagogy one must take two steps forward with personal development. “Your horse is a mirror to your soul, and sometimes you may not like what you see. Sometimes, you will.” So says Buck Brannaman, a true American cowboy and sage on horseback who travels the country for nine grueling months a year helping horses with people problems. 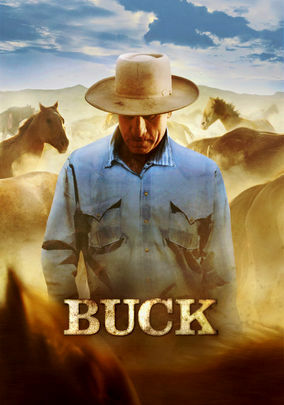 BUCK, a richly textured and visually stunning film, follows Brannaman from his challenging childhood to his phenomenally successful approach to horses. A real life “horse-whisperer”, he teaches people to communicate with horses through leadership and sensitivity, not punishment. Buck possesses near magical abilities as he dramatically transforms horses - and people - with his understanding, compassion and respect. In this film, the animal-human relationship becomes a metaphor for facing the daily challenges of life. A truly American story about an unsung hero, Buck is about an ordinary man who has made an extraordinary life despite tremendous odds. The purpose of this list is not to test anyone’s “degree of good-parent-ness” but only to summarize the many good ideas that are scattered over a wide number of books and lectures. In speaking of play and its role in the preschooler’s development, we are concerned with two fundamental questions: first, how play itself arises in development – its origin and genesis; second, the role of this developmental activity, which we call play, as a form of development in the child of preschool age. Is play the leading form of activity for a child of this age, or is it simply the most frequently encountered form? Multiple Intelligences theory gives a more rounded picture of the human being… and a ‘reason’ to be sure a school provides plenty of movement! Harvard professor Howard Gardner has written a number of best-selling and academically acclaimed books* centered on his theory that intelligence is multidimensional. At what age are children ready to begin First Grade? In many Waldorf kindergartens today, some of the most pressing questions pertain to when children should make the transition to first grade. What age cut-off should be used as a guideline? What signs should a teacher look for to indicate school readiness? What should be done if a child has been placed in first grade too soon? Nowhere has the rise of media education been more dramatically apparent than among eight-to-twelve-year-old “tweens”. The tweening of those we used to call preadolescents shows up in almost everything kids wear and do. The market aimed at this age group has skyrocketed in recent years, and many new products, particularly those specifically targeting these children, appeal to their sense of teen fashion and image consciousness. Connecting with the Young Child. As parents and teachers of young children, we need to be as conscious as possible in our speech and language with our children. Particularly with children through kindergarten age, the content and quality of our speech affects physical and intellectual development. What we say and how we say it can be either a support to healthy development or a hindrance. The number of children taking part in martial arts is rapidly growing. All around the world, armies of baggy, whiteclad children are being dropped off at local recreation centres, to be picked up an hour or two later. Parents are unwittingly helping to prime emotional time-bombs which will explode in adolescence with shock waves that last for many years. Along with opera, ballet is one of our classic artistic forms. Why is this? And why is it that so many children undergo a classical ballet training? Ballet is a highly stylised, perhaps the most stylised, of all movement forms. While an ordinary human being can kick, strike or bounce a ball, punch or wrestle, perhaps even do a roll or turn a cartwheel, there are very, very few who can move like a classical dancer. Children and team sports - are we erasing a valuable history? TV, movies and videos, rock music, computers, and team sports like soccer have all come to be regarded as normal for elementary age children. A lot could be said about these popular cultural hallmarks; instead, let's look at the many, many things childhood can be filled with, that are actually much better than these ‘normal’ activities. Early participation in team sports is often motivated by parental concern that children will not be ready for high school sports if they don’t build specific skills long before the teenage years. “Is my child ready for team sports?” “Will my child be left behind if he or she doesn’t get going on a team?” If you’re asking questions like this, here are five possible areas to be considered.